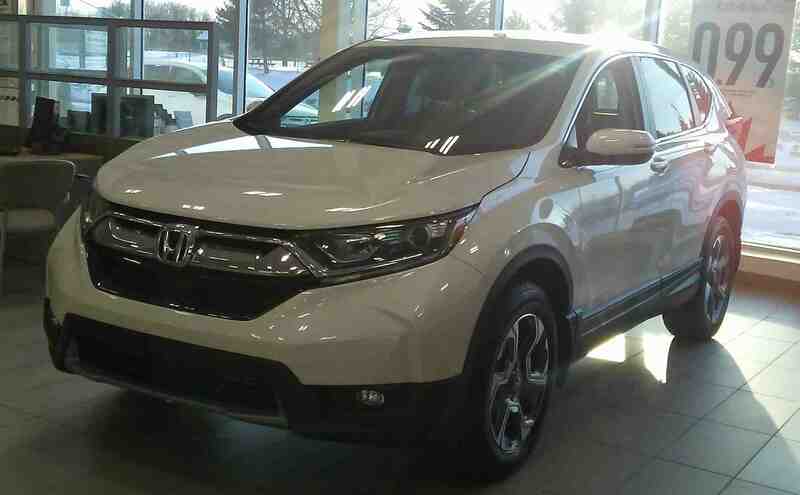 The CR-V is a great choice for a family vehicle! 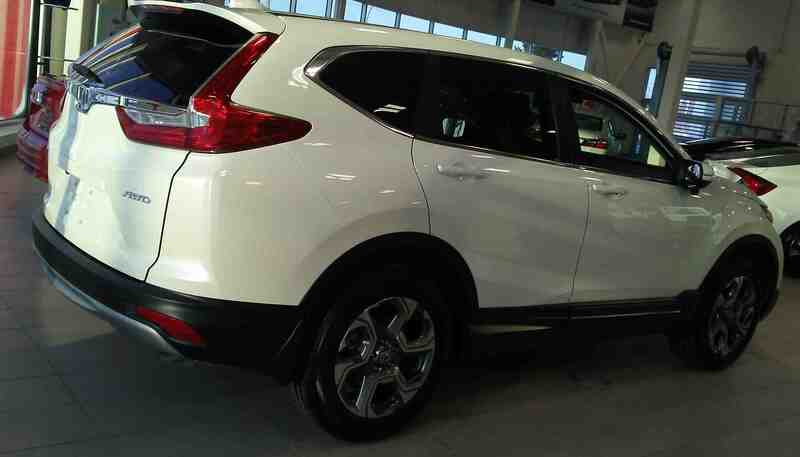 We have this 2018 CR-V EX-L on display that has room for your entire crew, and their stuff. This model is shown in the “White Diamond Pearl” paint colour, and comes with a black leather interior. It has a 1.5L, 16-valve, Direct Injection, DOHC, turbocharged engine with Continuously Variable Transmission (CVT). This engine and transmission combo has an average fuel economy of 8.7/7.2/8.0 L/100km (city/highway/combination). The EX-L trim level stays stylish with its 18 inch aluminum alloy wheels, rear tinted privacy glass, and woodgrain instrument panel. On the inside, you will notice its heated front and rear seats, power moonroof, and heated, leather-wrapped steering wheel. The 2018 CR-V EX-L comes with loads of safety, convenience, and entertainemnt technology. Loading up with friends or cargo is simple with the remote engine starter, power tailgate with programable height, proximity key entry, and pushbutton start! To keep you and your passengers safe on the road, the CR-V comes with the entire Honda Sensing package. This package includes key safety technology like the Collision Mitigation Braking System, Lane Departure Warning, Forward Collision Warning, the Tire Pressure Monitoring System, and more! The safety tech doesn’t end there! The CR-V also comes with a multi-angle rearview camera, LaneWatch blind spot display, and HondaLink Assist! To listen to music, make handsfree calls, or use apps, you can try Apple CarPlay, Android Auto, or HondaLink! If you have any questions about the 2018 CR-V EX-L, click here!